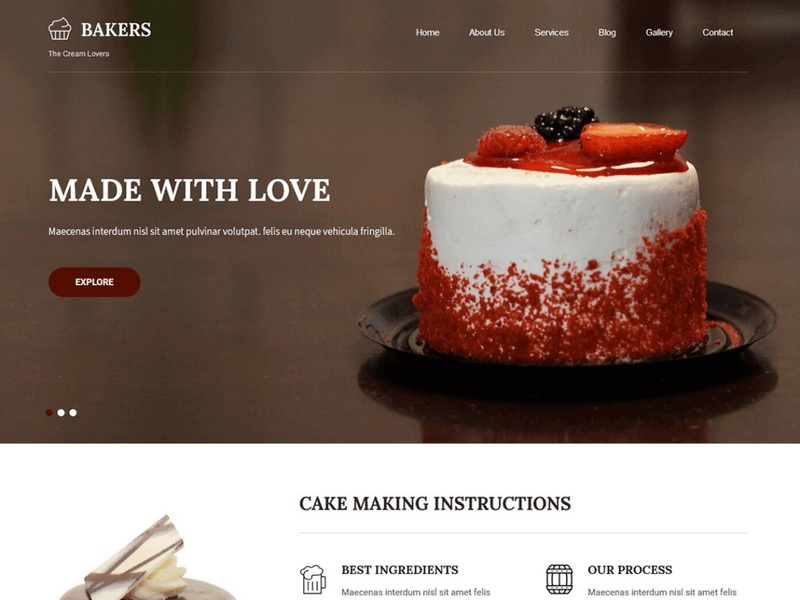 Bakers Lite is a bakery WordPress theme and can be used for a cupcake, pastry, muffin, cookies, chocolate, eateries, cafe, coffee and other food related websites. Cakes mean a celebration of a birthday, wedding, engagement, anniversary, marriage. Coded with page builder plugins and Gutenberg in mind. Coded with WooCommerce compatible so can sell cake directly online. A parcel, food delivery, caterers, fast food, pizza, cuisine, chef, recipe, drinks, wine, restaurant owners can also use this template. SEO optimized and speed optimized. Fast loading, flexible and simple easy to use. You have the option to change the color scheme of the template.